BCB Transport has a dedicated lane originating out of Sayreville to Shepherdsville KY. This dedicated run is all drop and hook, with up to (4) rounds per week with each round yielding approximately 1466 miles. The freight is lightweight and easy on fuel economy. Since fuel is your top expense, this means significant revenue savings going back to you and your bottom line. Light Shipments meaning Big Fuel Savings! Note: The FSC is adjusted weekly on Wednesday and is based on the DOE average announced each Monday. Physical Damage – $1000 Deductible with an annual of 3% per $1000 of truck value for $80,000 and above. Less than $80,000 is 5% per $1000 of truck value. 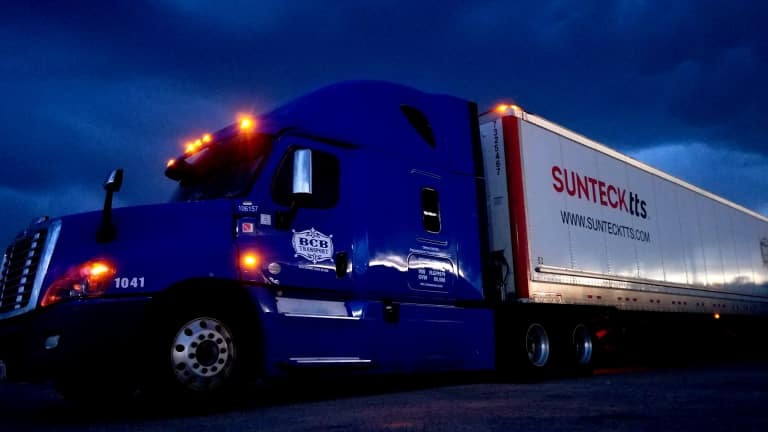 Other Physical Damage benefits include – Gap Ins up to $20,000, Towing up to $20,000, Downtime Rental Reimbursement up to $5000 at $150 per day, Personal Belongings up to $5000 with a $250 deductible, (4) years of claim free driving, Electronic equipment including communication / ELD device up to $5000 with a $250 deductible and Tarp Chains and Binders up to $ 500 with a $100 deductible. Note: to determine actual weekly amount for coverage; go to your Trip Revenue Workbook and enter the truck value in the special Physical Damage Calculator. Non- Trucking Liability – $8.30 Per Week with a $1,000,000 Combined Single Limit with $0.00 Deductible. Work injury Coverage – $28.15 per week with a combined single limit of $1,000,000. Disability benefit is $200 minimum up to $700. This policy covers both occupational and non- occupational benefits. Drivers over age 70 must provide a long form DOT Physical and MVR yearly to be approved for Occupational Accident Coverage. Rider Policy – Only $1.85 per week; after 30 days contracted to the company. This policy comes with a $0.00deductible and a combined single limit of $200,000. The passenger must be 11 years or older to ride in the vehicle. Affordable / Portable Owner Operator Group Major Medical Insurance is available through IHA. To find out more about coverages the Owner Operator may call (888)-376-9811 or go online here. Equipment 10 years or newer is preferred, in good appearance and must be DOT ready. Owner Operator must present evidence of the truck being DOT ready by presenting a passed DOT inspection completed within the last 60 days prior to entering into an agreement. If the last DOT inspection is over 60 days, the owner operator may go to an approved company inspection facility complete a passed DOT inspection. If the equipment is over 10 – years and is in excellent condition the truck may be considered by the Vice President of Carrier Capacity if the owner operator has a good PSP score, the truck is in good appearance and must be DOT ready, evidenced by photos of the front sides and back of the vehicle. Registration Purposes Only: Trucks that have never been titled or registered in the state of Texas. (Original or Copy of Out of State Title or last vehicle registration, Power of Attorney or Bill of Sale, Current Texas Vehicle Inspection and Texas Empty CAT scale ticket.